The idea of corporate social responsibility (CSR) has been growing and evolving across the global business landscape for the last several decades. 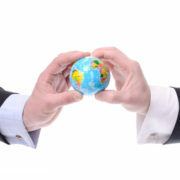 As a result of the adoption of the major themes and tenets of corporate social responsibility by so many corporations as well as public entities such as government and non-governmental public institutions, the concept has evolved to such an extent that it has taken on a number of different forms and meanings up to the present day. From the earliest attempts to discuss and define corporate social responsibility, a number of interpretations have been offered. Astute observers have noted that CSR strategies in business organizations are driven by a number of diverse influences, such as customers, employees, suppliers, community groups, governments and stockholders. Such influences naturally result in a myriad of conflicting goals, which in turn perpetuate the lack of clarity in arriving at a practical definition of CSR. 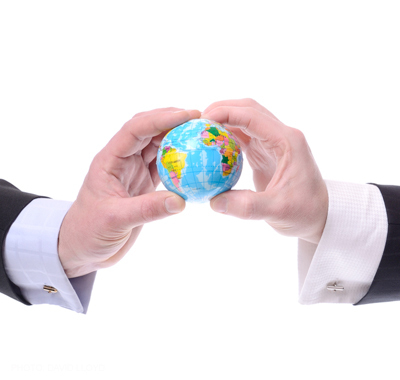 There are multiple agendas being served under the corporate social responsibility umbrella. McWilliams and Siegel define CSR as “actions that appear to further some social good, beyond the interests of the firm and that which is required by law” (McWilliams and Siegel, 2001). Indeed, some have gone on to illustrate examples of the kinds of activities organizations engage in when practicing corporate social responsibility as they attempt to serve a variety of internal and external stakeholders. These activities include, but are not limited to, examples such as: 1) Timberland shutting down business one day a year so thousands of workers can participate in company sponsored philanthropy, where employees work with local charities; 2) Starbucks offering “socially responsible” human resource policies, such as paying above market wages and vacation time, discretionary health care and retirement benefits, access to fitness facilities and child care services, etc. ; 3) Wal-Mart switching to recyclable cardboard and other cost-improving, waste reduction methods to reduce landfill and save trees; 4) Procter & Gamble redesigning Folgers coffee containers to reduce plastic consumption and other environmentally friendly, cost reducing practices; 5) Aeropostale donating 15,000 unsold coats to non-profit organizations providing clothing to needy children; and more (Bliss, 2011). There are multiple agendas being served under the corporate social responsibility umbrella. Among these are not only “actions that appear to further some social good, beyond the interests of the firm and that which is required by law”, as McWilliams and Siegel suggest, but in the modern day application of CSR and many derivative programs and policies, organizations are actively tying socially responsible actions to tangible financial performance outcomes. The trend in businesses paying more attention to the notion of CSR, as defined above, appears to also be linked to the idea that businesses that are admired most are those that are led by individuals who try to ensure that their values, beliefs, passions and related social and philanthropic intentions are lived out as they declare their desire to do something good beyond merely making and selling goods and services to reap profits. In short, they aspire to operate their enterprise in ways that can be described as socially and ethically responsible. Given this line of reasoning, according to Pereira, “people like to feel good about where they work and what they do”, and employees are less likely to quit socially responsible companies (Pereira, 2003). Indeed, these kinds of activities are part of what has driven organizations to adopt a newer framework for CSR strategies. These current-day strategies have come to be known by other names, as well, such as “triple bottom line”, SEER (Social, Ethical and Environmental Responsibility) and SEERS (Social, Environmental, Economic Responsibility and Sustainability), to name a few. All of these initiatives essentially seek to ensure that shareholder value and financial viability are linked to, and even enhanced as a result of, any social responsibility strategy (Bliss, 2011). It is worth noting that the “triple bottom line” framework (Slaper and Hall, 2011) is centered around the elements of “people, planet and profit”, an approach that remains true to the ideals of fostering social and environmental responsibility, while simultaneously ensuring that the financial objectives and cost accounting methods carried out while running the enterprise (whether a private sector business or public institution) are not ignored as they take into account the positive and negative impact of their business practices. This includes acknowledging that often times business operations have had a deleterious effect on the environment or on citizens, from causing damage to fragile ecosystems (think pollution, deforestation, strip mining, etc.) to harming human health (ingestion or exposure to carcinogenic byproducts such as first or second hand smoke, asbestos, toxic chemicals, etc.). In short, the triple bottom line approach, as originally conceived, intends that economic prosperity is more fully valued, and valuable, when it is attained along with environmental quality and social justice (Elkington, 1997). These four macro-values – Corporate Social Responsibility (“People”), Environmental Stewardship (“Planet”), Financial Strength (“Profits”), and Product/Service – illustrate the crux of the SEER philosophy. These values do not operate in isolation. Rather, they function as a system, with many areas of overlap and interaction. Decision-making is rarely, if ever, guided by one of the four values individually (Pepperdine, 2016). 1. What competencies must our leaders have (i.e., What must our leaders be good at?) in order to attract, retain, develop and deploy a workforce that understands and is able to effectively execute the SEER strategy, and in so doing, optimize organizational performance? 2. What values must our leaders believe in, exhibit in their daily actions, and instill in others in order to ensure they (and the workforce they manage) are in alignment with the SEER strategy? 3. What cultural attributes must the leaders of the organization promote and sustain to ensure alignment with the SEER strategy to enable smooth, efficient execution of the organization’s plans to achieve optimal performance? These three dimensions – competencies, values and organization culture – are inextricably linked to organization performance, and as with virtually any enterprise, the ability of the organization’s leaders to define, focus on and create what it needs and expects to manifest in these three areas will be fundamental to its success, especially as it contemplates introducing and sustaining its SEER strategy. Boyatzis described some of this phenomenon as he discussed his model for managerial competence and job performance, arguing that “Effective performance of a job is the attainment of specific results (i.e., outcomes) required by the job through specific actions while maintaining or being consistent with policies, procedures, and conditions of the organizational environment” (Boyatzis, 1982). While there are a multitude of leadership competency models in the literature as well as in corporate and public practice, it would be valuable to consider at least a couple of these, if only for illustrative purposes. For example, in Daniel Goleman’s Emotional Intelligence competency model (applicable for leaders, as well as for individual contributors), he puts forth a well organized collection of skills, attributes and behaviors (i.e., competencies) with behavioral descriptors that, when practiced at a high level of proficiency, result in individuals being able to achieve high degrees of self awareness and social awareness, which in turn allows them to be more effective at self management and relationship management in the workplace. Such proficiency increases the likelihood for achieving higher levels of individual performance and organizational effectiveness (Goleman, 2000). Included in this version of Goleman’s Emotional Competency inventory are items such as emotional self awareness, accurate self assessment, self confidence, emotional self control, transparency, optimism, adaptability, achievement orientation, initiative, empathy, organizational awareness, service orientation, developing others, inspirational leadership, influence, change catalyst, conflict management, and teamwork and collaboration. Along with these competencies, Goleman also describes six leadership styles that are ideally part of the large repertoire of capabilities that a leader can draw from and apply, as appropriate, to any given situation he or she is confronted with. Similarly, the Center for Leadership Studies has developed a leadership competency model that is applicable to selecting and developing effective leaders in the workplace. This model incorporates topics, themes and categories that are somewhat similar in nature to the Emotional Intelligence model, but are organized into a structure that emphasizes Leading Self, Leading Others and Leading the Organization, including, but not limited to, such competencies as managing change, solving problems and making decisions, taking risks and innovating, setting vision and strategy, managing the work, managing politics and influencing others, demonstrating ethics and integrity, displaying drive and purpose, managing yourself, developing adaptability, increasing self awareness, communicating effectively, building and maintaining relationships, managing effective teams and work groups, valuing diversity and difference, and more (SHRM, 2008). In addition, we are living in a world of increasing globalism, especially in the field of international commerce, where business leaders are more likely to be required to work across geographic and political boundaries, especially, though not exclusively with a multitude of global actors (Boyer, Hudson and Butler, 2013), either in person or virtually, and must therefore be more globally aware, astute and skilled. This means there are surely additional global leadership competencies to be considered which are not mutually exclusive of the examples mentioned above. One example of where some of these global leadership competency descriptions can be found is in the Global Mindset Inventory (GMI), an assessment tool which evaluates the characteristics an individual needs to effectively influence people who live and work in cultures different from their own. These competency descriptors include items such as global business savvy, passion for diversity, social capital, thirst for adventure, self-assurance, diplomacy, intercultural empathy, interpersonal impact, and more (Mendenhall, 2013). While this study is not intended to be an exhaustive treatise on leadership competencies, the preceding examples of leadership competency models should serve as a representative illustration of the kind of capabilities today’s leaders must consider as they lead the organizational planning process required to develop a SEER strategy, to manage the people in the organization who will do the work, and to shape the organizational culture that will provide an optimal work environment for the SEER objectives to be realized. As the architects and the conscience of the organization’s culture, it is incumbent on these leaders to not only define and execute the SEER strategy, but they must also have the savvy to understand, define, build and sustain a work environment that will help individuals know how to behave and think in ways that are truly aligned with the overarching SEER mission and strategy. Given this responsibility, leaders must be mindful that they will shape the underlying forces and events that reflect the organizational culture. These include the values of the organization, which will set the tone for social, ethical and environmental responsibility, including how employees think, feel and act toward and with those SEER objectives. Because leadership styles significantly influence a firm’s CSR practices, we can infer that leadership styles influence SEER practices, as well. And while both transformational and transactional leadership styles play different roles in both the theory and practice of institutional CSR (Du, Swaen et. al., 2013), this notion is worthy of further investigation to examine how other leadership style frameworks and competency models might somehow be integrated to optimally influence the people and the organizations these leaders manage as they endeavor to carry out their SEER objectives. In addition, the cultural signposts that show up in the organization, which incumbent leaders are responsible for influencing, include any and all group norms, policies, operating principles, written and unwritten rules for “how we do things”, the work climate (physical and emotional), habits, shared meaning/understanding (from communications, interactions and perceptions), formal and information rituals, and the like (Schein, 2010). All of these will differ from organization to organization, and from SEER strategy to SEER strategy, but they must be given conscious consideration in their conception, design and implementation in actual practice, such that they align with and support, rather than conflict with, the mission of the organization and its SEER goals. This three dimensional approach was taken by the OCEAN Belize project team (Kenneth Murphy, David Keszei and Noy Loeur) in its May 2016 Belize project sponsored by Pepperdine University. OCEAN Belize team members developed a prototype business model for a resource center, business consultancy and advisory network designed to enable new and emerging businesses in Belize to avail themselves of a wide cross section of resources and support services (via vendors and subject matter experts) dedicated to supporting economic development in the country of Belize. These services were designed to address the Organizational, Culture, Educational and Economic needs of these new and emerging businesses, creating a coalition of professional experts to implement these services in a manner that is socially, ethically and environmentally responsible and value-added to the clients, citizens, government and any associated stakeholders in Belize. In this business model, a portion of the profits of the OCEAN Belize enterprise are scheduled to be set aside to fund a non-profit, philanthropic enterprise that will also solicit additional corporate sponsorships and investments to help set up new community centers and shore up the existing infrastructure to strengthen and staff existing community centers in Belize. These community centers will be staffed by local citizens, and will provide highly engaging “play-to-learn” habitats for young adolescents and vocational training for young adults to fill the perceived “risk vs. opportunity gap”, especially targeting those young adolescents who are not attending high school, helping to improve the odds for growth, development and future job opportunities for Belizeans who choose to take advantage of the services offered at these community centers. During the initial phase of this project, the SPELIT model of analysis was used, which supports and is congruent with the SEER strategy. In SPELIT, we found it valuable to examine a number of key environmental components both inside and outside the organization as we formulated an approach to our business plan, focusing on discerning the legitimate needs of potential stakeholders, as opposed to forging ahead with an unproven plan to force-fit randomly conceived business solutions on an unsuspecting market that had been neither vetted nor validated (Schmieder-Ramirez and Mallette, 2007). In the course of considering implementing this OCEAN Belize opportunity, it is anticipated that the three dimensional model for integrating leadership competencies, values and cultural attributes described above will serve as the cornerstone for our business practice as we expand and implement our own global SEER strategy in Belize, and beyond. While the limitations of time and resources constrain this initial overview of the major themes and questions addressed here, it is recommended that this three dimensional approach be considered as a framework for further research into how leaders can best optimize a SEER strategy to achieve the goals intended by the enterprise and its stakeholders. It would be advantageous to study existing SEER organizations to evaluate whether and how they address leadership competencies, values and cultural attributes as they execute their SEER strategy, and any current models that may have been put into practice that have proven to be successful or unsuccessful. This three dimensional approach advocates that the leadership role is paramount in the planning and execution of the SEER strategy, not only for articulating and managing it’s core business components – social, ethical and environmental responsibility, as defined by consideration for people, planet, profit and product – but for the leadership competencies, values and cultural attributes which enable SEER initiatives to be optimized in actual practice in the global enterprise. Boyatzis, R. (1982). The Competent Manager: A Model for Effective Performance. New York. Collier, J. and Esteban, R. (2007). Corporate Social Responsibility and Employee Commitment. Business Ethics: A European Review. Volume 16: 19-33. Elkington, J. (1997). Cannibals With Forks: Triple Bottom Line of 21st Century Business. Goleman, D. (2000). Leadership That Gets Results. Harvard Business Review. March-April. Schein, E. (2010). Organizational Culture and Leadership. San Francisco. Jossey-Bass. Slaper, T. and Hall, T. (2011). The Triple Bottom Line: What Is It and How Does It Work? Review, Spring 2011, Volume 86. No. 1.